The Remembrance Centre at the National Memorial Arboretum in Staffordshire, on which we were appointed project and cost manager, has been successful in both the Community Benefit and Tourism and Leisure categories at the recent Royal Institute of Chartered Surveyors (RICS) West Midlands Awards. The impressive building was part of a £15.7 million reimagining of the Arboretum which now plays host to the beautifully landscaped Heroes’ Square, a large restaurant, retail space, and coffee shop. Enhanced learning facilities mean the number of school visitors is expected to go from 15,000 to 25,000 a year, with the overall number of visitors expected to increase dramatically from the 300,000 it previously attracted. 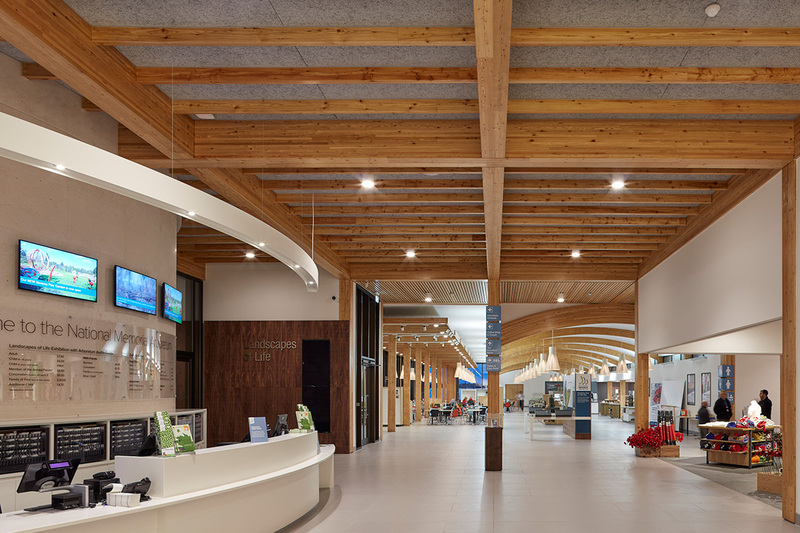 “It is an honour to have been part of the team which delivered a complete reimagining of the National Memorial Arboretum on time and to budget. We are so pleased that this fantastic project is now receiving such widespread recognition in the form of these prestigious awards”. RICS winners from the West Midlands region will now go on to vie for the national RICS Awards at the Grand Final in November this year.